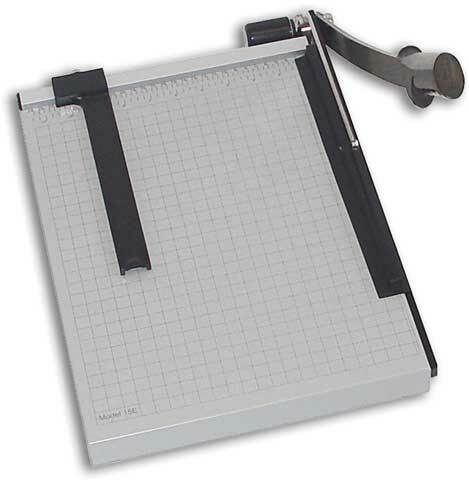 Popular among photographers, craft enthusiasts and office professionals, this 15" lever style paper cutter can cut up to fifteen sheets of paper at a time. It features a spring action blade that remains in the up position while in use and can be locked in the down position when the project is complete. The automatic clamp holds work securely in place and prevents it from shifting. The ground metal blade in combination with the automatic clamp will consistently produce a clean, burr-free cut without fanning. The sturdy metal base has non-skid rubber feet that prevent slipping.